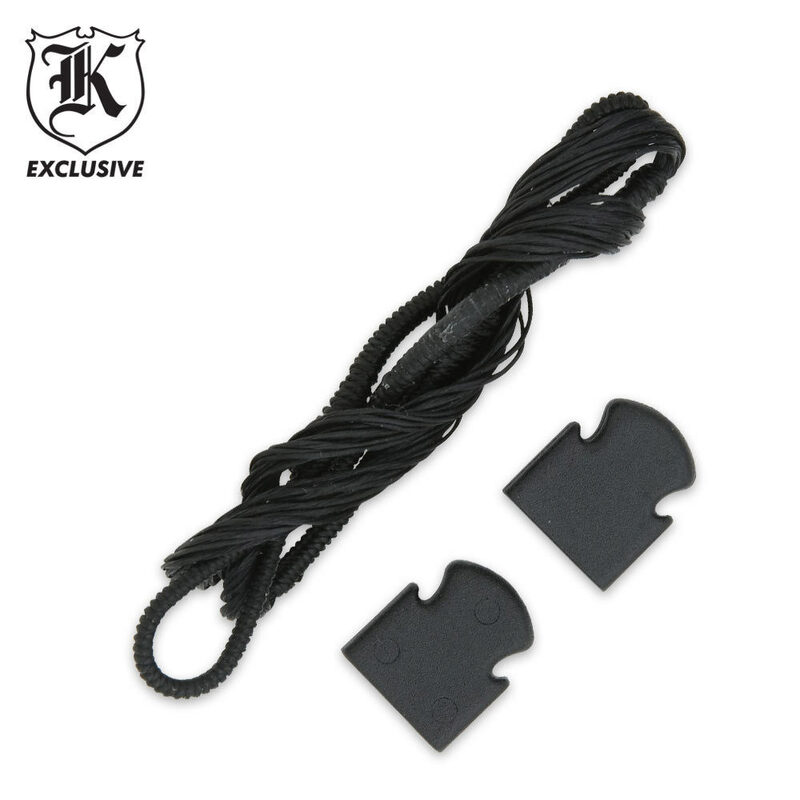 Crossbow String for 50-lb Crossbow | BUDK.com - Knives & Swords At The Lowest Prices! Stock up on extra crossbow string today at this unbeatable price! This package contains polyester string specifically to be used with 50-lb crossbows. It will work with most crossbow models. Two tips are also included in the package. 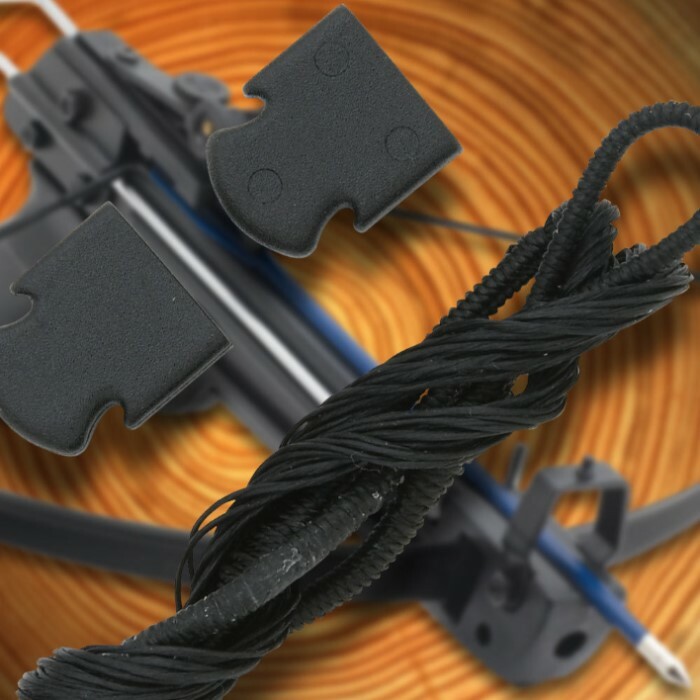 Pick up several when you purchase the 50# crossbow kit. At this price it is well worth it. Throw 'em in your pack for "just in case". They do wear out after a while and to be without replacement can put a quick end to a fun day. I also suggest getting lube oil/string wax at purchase. Again, if it is in your gear kit and handy, you can take time out to repair and get back to it, rather than calling it a day due to malfunction. good quality for the price. but buy 2-3 at once because they only last around 30-50 shots. This little crossbow is pretty darn cool!